Home Tips and Tricks Customizing Entity Icons in Microsoft CRM 2013 and 2015 1 person is discussing this now. Microsoft Dynamics CRM 2013 and 2015 can be customized in many ways to best suit your business needs. In today’s blog, we’ll focus on creating custom entity icons. So let’s get started! 1. First, you will need to find an image to use as your icon. You can get an image from either the internet (make sure there are no copyright issues) or you can create your own in Microsoft Paint. For best resolution, the image should be equal or greater than 256 x 256 pixels. The image must be formatted to Microsoft specifications or the upload will fail. Two image sizes are required, 16 x 16 pixels and 32 x 32 pixels. Save the image in .jpg, .gif or .png format and make sure that the file is no bigger than 10 kilobytes. Microsoft Paint is the easiest program to use and is available free to all PC users. Open the image in Paint and click Resize. 2. Select the radio button for Pixels, set the Horizontal and Vertical to 16, and uncheck the Maintain Aspect Ratio box. Save the images in an approved format (.png/.gif/.jpg) in an accessible location. Repeat the steps for size 32. 3. Our next step is to update the image icon for the custom entity. Open the custom entity and select Update Icons. 4. Click on the magnifying glass to search Icons in Web applications, and click Lookup More Records. 6. Enter a Name, Display name, Type (format of your image), click Browse to upload your image file and Save. Repeat the steps for size 32 and save the file with a unique name. 7. The newly created Web Resource files will display in the update icon list. Select the image and click Add. 8. Select both icon images within the Web Resource. 9. The final step is to publish the entity. Bravo! Your custom icons are now set. If you are using CRM 2011, please see link below to our 2011 blog, Change an icon in CRM 2011. Want more content like this? Then subscribe to our blog! 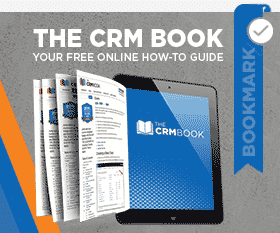 We have the best blog in the CRM industry, so make sure you don’t miss a post! Within Microsoft Dynamics CRM, end users of the application are able to quickly create new entities in the system and they can modify the existing Sitemap with little to no programing experience. One commonly missed item when modifying CRM is to add in a new icon to replace the default icon. Here are some best practices to consider when designing your new icon. Please note that ever since CRM 2011 UR 12, CRM icons are monochromatic (single color). We follow this principle here and color icons will work, however, in order to follow the current design principles, it is recommended to follow the techniques illustrated below. When creating icons for CRM entities, two icons, a medium and a small icon, will need to be created. by Joe D365	September 9, 2015 1 person is discussing this now.